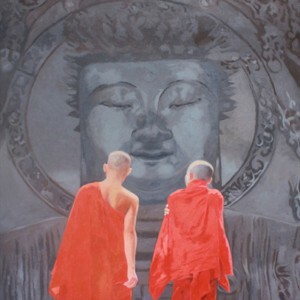 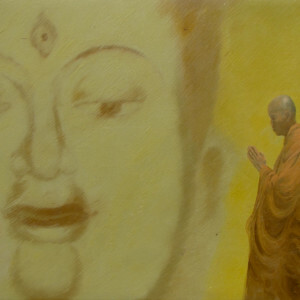 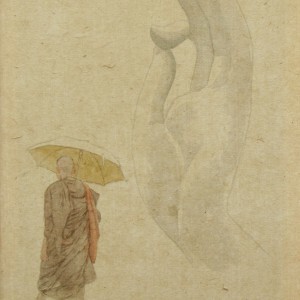 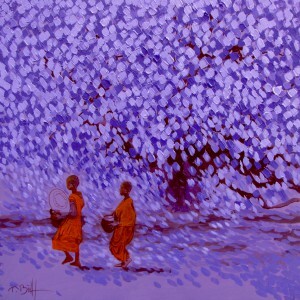 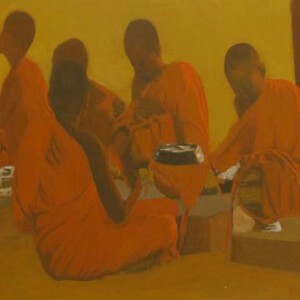 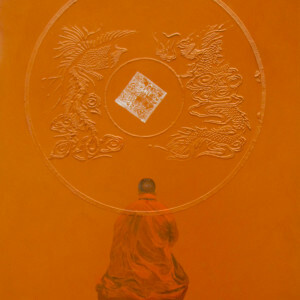 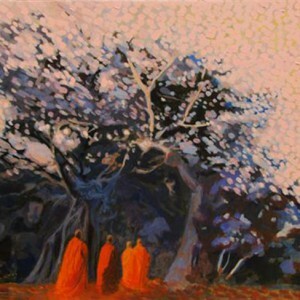 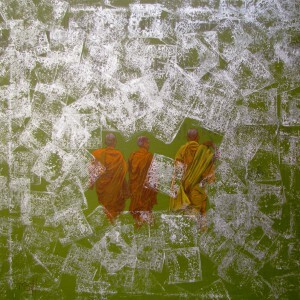 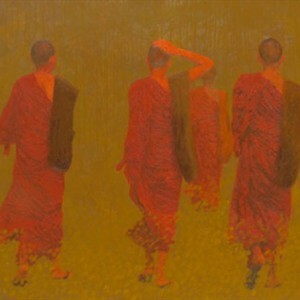 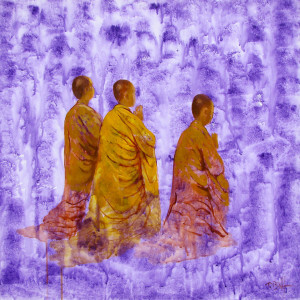 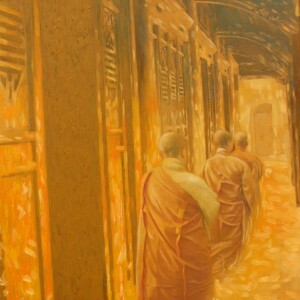 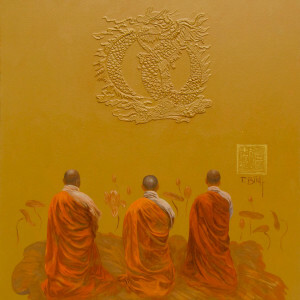 This is a stunning piece from contemporary Asian painter Vu Thai Binh’s landscape paintings. 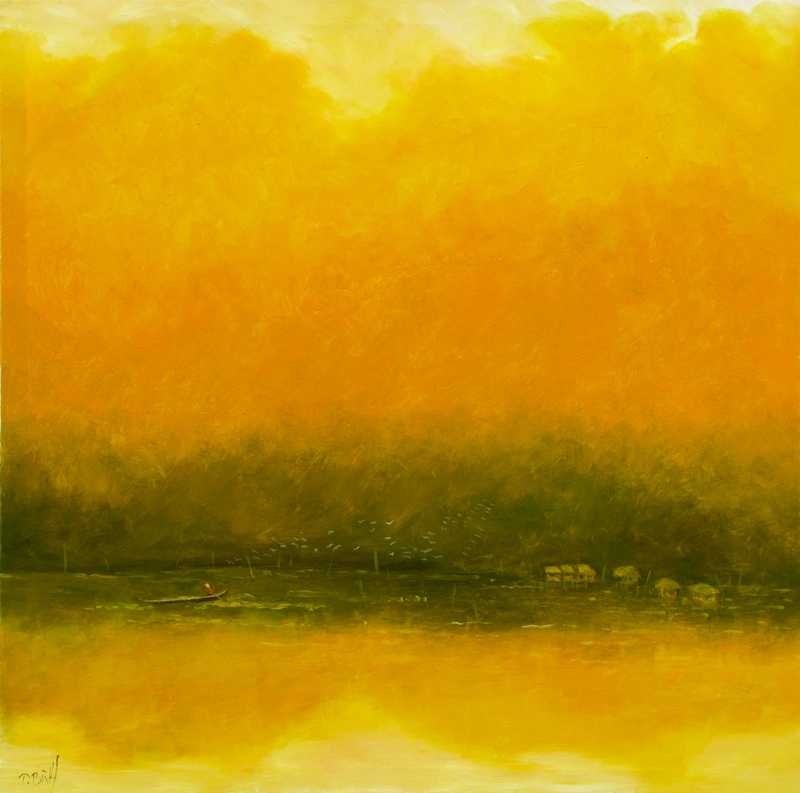 This one takes a sweeping view of the extended vista of the rural Vietnamese landscape in autumn bathed in a yellow sheen, maybe during sunset. 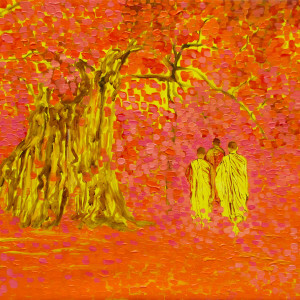 Autumn is often associated with the color of yellow, as the leaves turn yellow before they fall off silently.